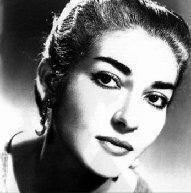 On Sunday, June 2, 2013, Tabla Rasa Gallery is delighted to present "La Divina," a documentary film, with rare historical footage, that offers the opportunity to experience the grandeur and magic of legendary soprano, Maria Callas. Larry Lapidus, lecturer and program director for Lyric Opera of Chicago, will introduce his film about the tempestuous native Brooklynite who suffered from near-blinding myopia, potentially voice-altering mid-career weight loss, and romantic scandals involving, among others, Aristotle Onassis. Unlike more familiar biographies focused upon her personal life, this film transports us back in time to experience footage of performances, up close, personal, and totally breathtaking. On Sunday, June 2, 2013, everyone can discover the public and private lives of a legend. info@tablarasagallery.com Subject line "RSVP La Divina"
Tabla Rasa Gallery is located at 224 48th Street, between 2nd and 3rd Avenues, in the burgeoning art destination of Sunset Park, Brooklyn. The destination gallery is known for their consistently stunning exhibitions. Within the 4000 square foot turn of the century carriage house, the gallery exhibits primary and secondary market artwork by emerging, mid-career, and established artists, in all media, including painting, sculpture, installation, drawing, print media, digital, film and video. It is recommended to call 718.833.9100 for events and schedule updates.